One of the biggest upgrades to Samsung’s Galaxy S7 and Galaxy S7 Edge line-up is the battery, with Samsung managing to add a battery that is 18% and 40% larger than the predecessors respectively. Both handsets scored highly in their respective reviews, but suffered in the battery department so a year on, just how much has Samsung managed to improved the battery by? Taking a look at common tasks such as WiFi browsing and Video Playback, coupled with an extrapolation of expected battery life, it’s time to put the smaller of the two phones to the test. With two different processor options on offer, is one superior to the other, and how does the Galaxy S7 compare to the competition? Let’s find out. In the charts below, we tested both versions of the Galaxy S7 three times and recorded an average of the three as the reported battery life. For the Galaxy Note 5 and Google Nexus 6P, each smartphone was tested once during the last Best of Android and the data from that result has been used below. The Exynos version of the Galaxy S7 we are using is the SM-G930F model, while the Snapdragon variant is the SM-G930V model for Verizon Wireless. As such, the latter comes with some Verizon preloaded apps, and these may have had a small affect on the battery life. Each handset was tested at the same display brightness and under the same testing conditions to ensure a fair result. To kick off our testing, we charged each handset to full, removed the charger and ran our custom WiFi browsing test tool until the battery drained to 0. We then recharged the phone to between 2 and 10 percent, and recording the Screen on Time recorded by the Android OS. During the test, each smartphone was connected to the same WiFi network with no accounts or data syncing. The Exynos Galaxy S7 proves to be slightly better in this test, recording an average screen on time of 6 hours and 48 minutes, versus 6 hours and 30 minutes on the Snapdragon model. What is particularly interesting, is that the Nexus 6P splits the two handsets, but all fall well short of the 9 hours and 32 minutes offered by the Galaxy Note 5. From WiFi browsing to video playback and again, we tested from full to empty. Looping the same 5-minute video over and over on each of these handsets, we ran the test and then recharged the phone to get the SoT listed by the Android OS. During the test, each device was put in aeroplane mode to prevent any syncing or connections preventing the video from playing. Whereas both versions of the Galaxy S7 struggled in the WiFi browsing test, they excelled in the video playback test. The Snapdragon version beat both, the Galaxy Note 5 and the Nexus 6P, with an average battery life of 11 hours and 52 minutes, but the Exynos S7 went a whole lot further at 15 hours and 11 minutes. Our third and final test involves testing the longevity of each handset, as an indicator of the maximum standby life. Each smartphone was charged to full and WiFi was turned on with the same set of apps syncing data and notifications (11 apps in total). After exactly 24 hours, the remaining battery life was measured and this data used to extrapolate the total potential battery life. The first thing you’ll notice is that the Galaxy Note 5 offers a considerably lower potential standby time than the other three handsets, and the reason is quite simple; at the time of testing, it was running the Lollipop OS and didn’t have the benefit of Doze Mode on Marshmallow like the other three handsets. To those running Marshmallow, and Samsung seems to have done a rather good job with the 3,000mAh unit inside the Galaxy S7, which is considerably smaller than the 3,450mAh unit powering the Nexus 6P. Both versions exceed the 9 days 2 hours offered by Google’s flagship, with the Snapdragon version scoring 9 days and 10 hours and the Exynos model, 10 days and 2 hours. Testing under these conditions isn’t always indicative of day-to-day usage, where variables such as network coverage, usage on other apps and more, can all impact the actual battery life offered by a smartphone. To this effect, does the battery life live up to its billing above? From my personal experience, you can expect a day’s usage out of either of the two models, which will offer you between 4 and 6 hours’ Screen on time from a full charge. The actual battery life does vary, and the maximum I’ve got out of either handset is 6 hours, but the minimum is as low as 2 and a half hours. The standby time is mostly impressive as, with low to medium usage, I’ve had a full charge last me between 1 and 2 days. For the most part, light users should be able to eek out two days from a full charge, while even heavy users should get around 4 hours Screen on Time. Particularly, the Exynos unbranded SM-G930F model does seem to last between 10 and 20 percent longer than its Snapdragon cousin. What does the data show us? There’s a few things we can take away from this test, not least that the Exynos version of the handset does offer better battery life than the Snapdragon version. There’s a couple of reasons for this; first, as we discovered in our Galaxy S7 review, there is a noticeable difference between the two handsets (which was around one hour). Secondly, carrier bloat has an effect on battery life, but just how big the effect is something we’ll test and answer in a future piece. 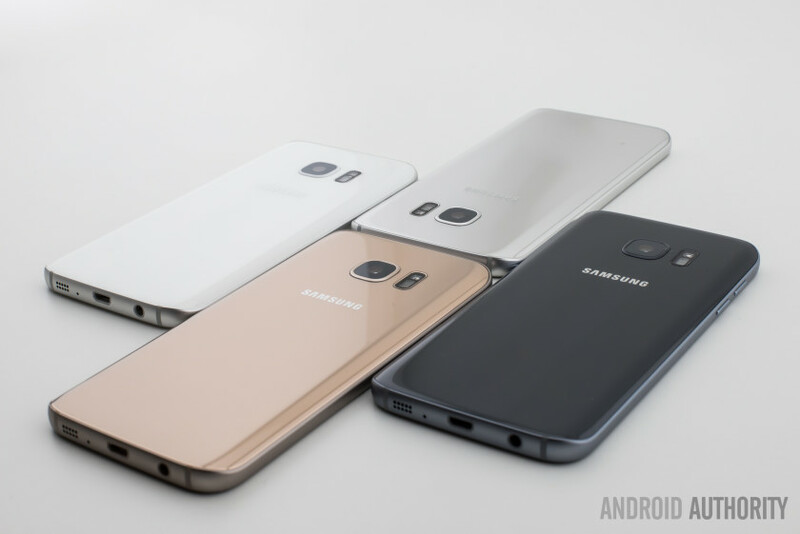 The data also shows that the Galaxy S7 battery life is vastly improved over the Galaxy Note 5, with both versions of the S7 outscoring Samsung’s phablet king in two out of the three tests. The last is that Doze mode definitely makes a difference to the standby offered by a handset – as our final test shows – and as noted in our Galaxy S6 Marshmallow hands on, Marshmallow OS definitely improves the overall battery life of a handset. Buy the Galaxy S7 now! What battery enhancements and tweaks will the latest Android N OS bring, and what do you think of the Galaxy S7 battery life? Report your findings in the comments down below guys!